May 1915. After tragedy strikes during the Second Battle of Artois, Frenchman Julian Olivier will do anything to get out of the trenches. So when British Intelligence recruits him to spy behind enemy lines, he jumps at the opportunity. Just before he begins, however, he has a chance encounter with a young French woman who leaves his heart marked for the remainder of the war—even if he doesn't know her name. Warren Flynn is a Canadian airborne hero, and dogfights with the Germans are all in a day's work. Second only to his love of flying is his fascination with Claire Donovan, the daughter of an American munitions manufacturer living in Paris. 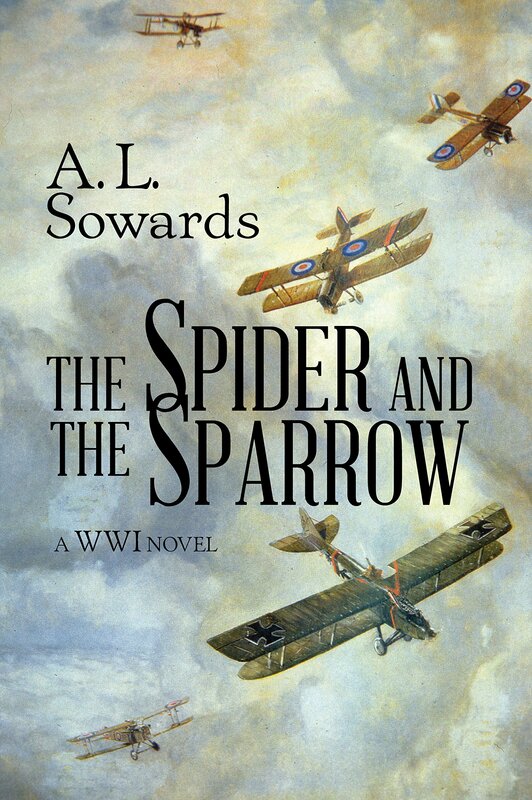 Warren flies Julian into Germany and soon receives orders to post the Allies newest operative—an attractive peasant woman named Evette in Claire's home. I will admit, this book started off kind of slow for me, and I was wondering how I was going to manage to read it before the deadline. I needn't have worried. After the first few chapters, the book picked up quite a bit, and I ended up finishing it in only a few days. I was completely caught up in the story-line. I don't really know very much about World War I - basics like when it happened and why it started, but that's about it. History has always been somewhat fascinating to me, so I enjoyed learning a little bit more about what was happening during this time period, and I would like to learn more about what happened during this war. The whole spying thing intrigued me, especially Evette's situation. I can't even imagine being discreet enough to successfully spy on anyone without getting caught. The whole way through the book, I was kept guessing who the infiltrator was. The author did a good enough job making several people seem guilty that I kept changing my mind several times until the traitor was finally unmasked. Definitely a book that I would recommend. I'm not sure if I've read any of the author's other books, but you can bet that I will now! This is not my typical type of story, and I'll admit that I kept putting off actually opening the book because the cover did nothing for me. However, once I opened the book and started reading I was pulled into the story right away (baring some confusion with names), and I kept wondering how things would go and how things would turn out. I especially loved how this novel was from a French POV and Canadian POV (with background of Germans as well). It really made me feel connected to each side, and feel for each. I cried a couple times feeling the loss of hope and dreams, and for seeing people for who they are instead of where they lived. Content wise, this is a book about war, and therefore you should not be expecting daisies and roses. However, I will say that the author managed to convey the horrors of the infantry and cavalry soldiers without being graphic. She was also able to convey a plethora of different feelings towards the war, towards spies, and the different nationalities. I can't even imagine living through something like this. Religion wise there are references to God, and the afterlife, which flowed very smoothly in the novel. It makes sense to think about both of those when you are staring at death everyday. Anyway, it wasn't preachy, and didn't seem out of place. Since this isn't my typical fluff novel, I'm not sure how likely I am to reread it, but I would recommend it, and I will be thinking about it for a long time. Source: We received copies from the publisher in exchange for a review.